Set Includes 6 x 40g Jars : 1 x Blackcurrant Extra Jam 40g 1 x Three Fruit Marmalade 40g 1 x Rasberry Extra Jam 40g 1 x Lemon Curd 40g 1 x Strawberry Extra Jam 40g 1 x Orange Marmalade 40g. Vegetarian friendly & Gluten free! 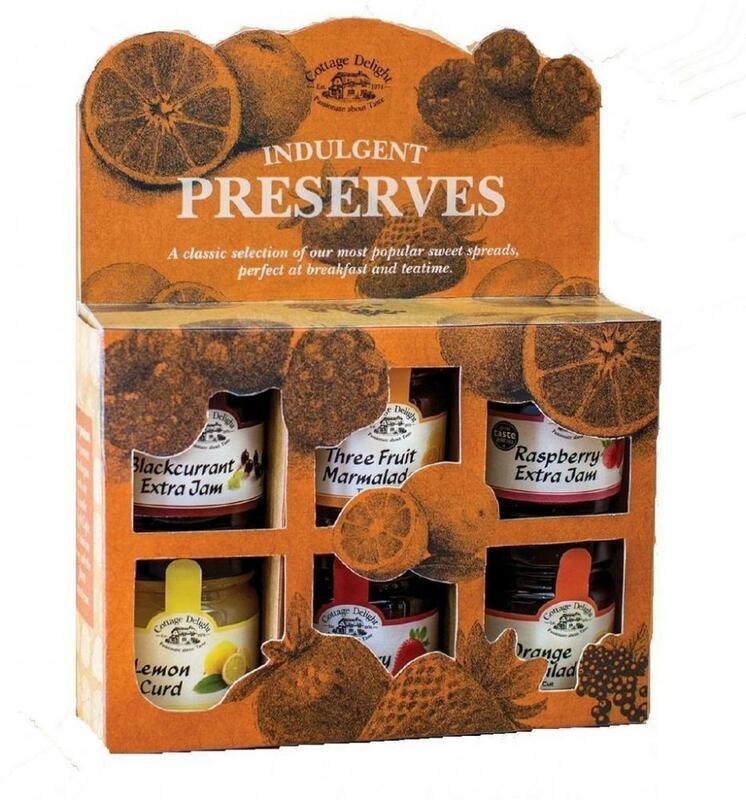 A classic selection of our most popular sweet spreads, perfect at breakfast and teatime. A wonderful and thoughtful gift set for someone special!